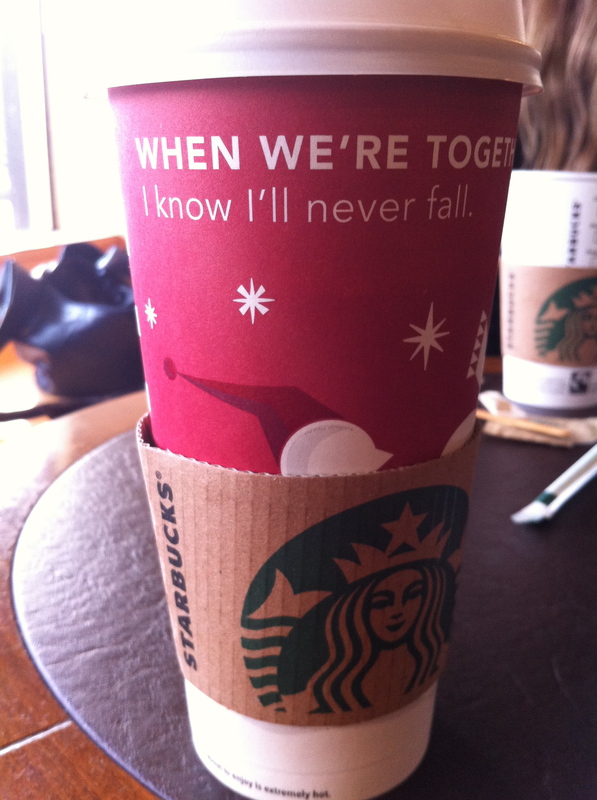 Drinking With the Enemy – Could Starbucks Make it in Italy? 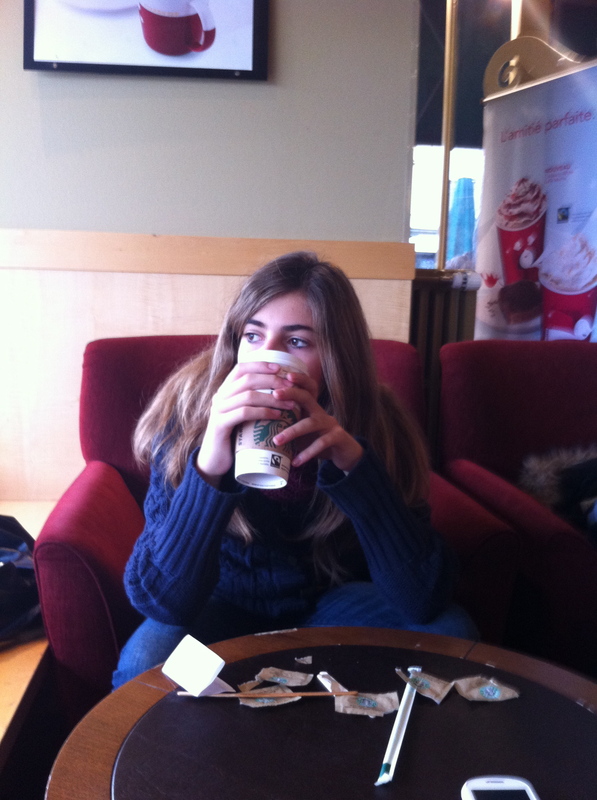 Emily loves Starbucks, which is not easy for her because we live in a country without a single Starbucks: Italy. 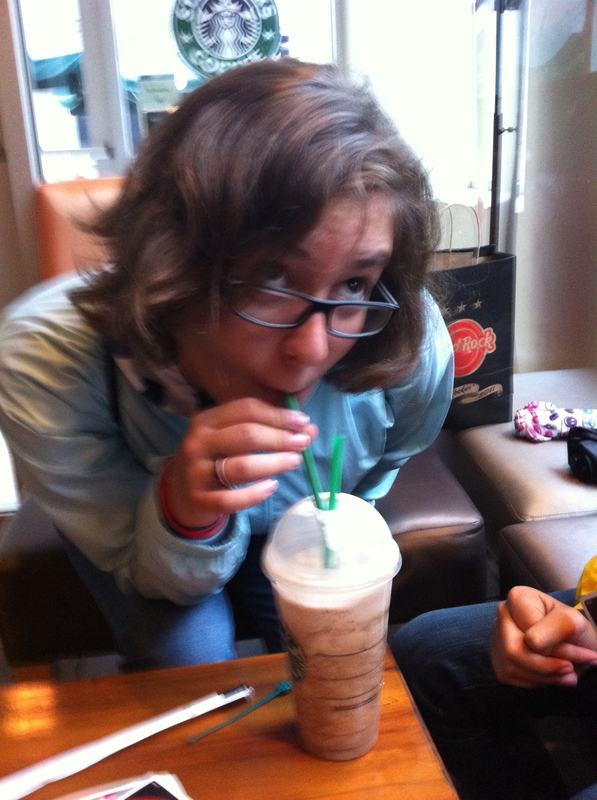 She was 11 when she first tried a Mocha Frappuccino. We were at the Louvre in Paris resting between visiting exhibits and the line was short so I grabbed their largest size, a Venti, and we passed it around the whole family. It didnt seem like I was acting against my love of Italian coffee, because I wasn’t thinking of it as a coffee drink at all. It was a light dessert drink (light because there were four of us). 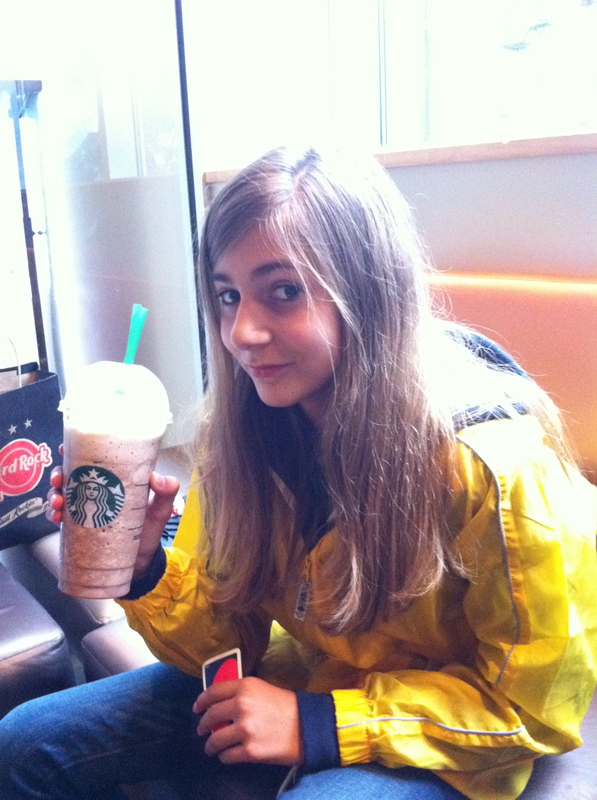 Starbucks has since become one of her minor fixations – and she forced us to take her to one in both Chicago and Geneva. Like many adolescent Italians she has her favorite bits of american popular culture and where in the 80s and 90’s she might have chosen Levi’s and McDonalds, she likes Abercombie & Fitch and Starbucks. She was therefore quite let down when she found out that the advertising poster announcing the imminent arrival of a Starbucks store last week in Milan was just a prank by a design student (who, by his youtube video, seems to really want a Starbucks to come to Italy). Thousands of Italians and Italy-lovers fell for the provocation, and virtually no-one had a mild opinion on it. What was also striking that a store that does not even exist in Italy is so well known – even hated or loved – here. Although Starbucks is inspired by Italian coffee culture, it is in essence an American model – from the sizes of the drinks to the recognizability of their stores throughout the world. Entering into one of their stores is however an experience light years away from what would happen most coffee joints in Rome or Milan. The Italian relationship with coffee is different as defenders of true espressos and cappuccinos claim very different, and it has nothing to do with drinking out of disposable cups. Most of it boils down to image and price. But all need not be lost for the Seattle-based chain. If they do decide one day to break into Italy the price of failure for a company that says it draws inspiration from Italy would be high. It can be done, if the corporation is willing to turn its business model on its head. Three reasons why Starbucks would fail in Italy with its current model and two ways it could succeed. 1) Cost. Not that Italians are cheap. At home or abroad they will go out of their well to spend a fortune on quality food and drink, especially if it familiar to them. But staple foods – pasta, olive oil, bread, coffee, and others are a more delicate matter. They will pay for high quality pasta made from the perfect mix of grains that is cut with bronze-edged tools and then slowly dried in the cool micro-climes found in the mountains in Abruzzo (De Cecco and others) or in the rising lands near Vesuvius, the volcano overlooking Naples that destroyed Pompei (Gragnano), but the everyday pasta found on every corner store also has to be excellent AND affordable. It’s the same with espresso and other traditional italian ways of drinking coffee – they will pay for the right mix of caffè bar real estate and selected beans, but even in the best parts of Rome an excellent espresso will rarely go over 1,10 a shot at the bar. 2) Size. At most java shops in the US, not just at Starbucks, the small espressos are too big and watered out. Of course it you are paying three to five times as much as they are used to back on the Boot, the temptation to get a lot bang for your buck is strong for Italians too. Most Europeans, however, don’t binge their favorite poison. (A glass of wine or a beer with lunch on a workday is still considered as normal as drinking water). 3) Simplicity. Drinking coffee is an essential experience, a simple excuse for a break in the day to recharge both physically and mentally, either through a moment alone, or a quick pause to shoot the breeze with a friend or coworker. Not that there are not choices – ceramic or glass, sweetened naturally, synthetically or bitter, a touch or milk, etc. – and they can speak volumes about a person. It’s also usually a short experience (it’s called “espresso” for a reason), unless it’s one of those rare moments when you sit down and hang out with a friend for a while. Coffee in Italy is simple and elegant, if not sweet. They could succeed by playing to their strengths: the desserts and the ambiance. 1) Desserts. Last time I was with Emily & Sofia in a Starbucks not far from Watertower place in Chicago I chatted with the barista (it was an off-peak hour on an August Saturday. He confirmed my suspicion that most Italians that came through stayed away from espresso, cappuccino, and their Starbucks derivatives. They preferred normal brew coffee if caffeine was their goal. But the loved the pastries (muffins, banana-bread, cookies, scones) and sweeter milk-based concoctions (“Frappuccinos” and their ilk). The solution could be to turn the menu and the marketing upside down. Starbucks in Italy would be an up-market pastry-shop and gelateria that also sold international sandwiches and salads and milkshake-like drinks with coffee, if you really insist, to go with it. 2) Ambiance & comfort. Although coffee is quick-fire experience, it is one of the few things they like doing in a hurry (driving is the other). And despite their love for hanging out with friends and strangers there are surprisingly few places that offer a calm, relaxing environment with couches, free wi-fi, and big windows to the street in front of you. And it goes well beyond hanging out and snacking. Just like the places where Starbucks is strong a working people are always on the lookout for good place to wait between business meetings or eve to hold them, and too many bars in Italy are just not comfortable enought.